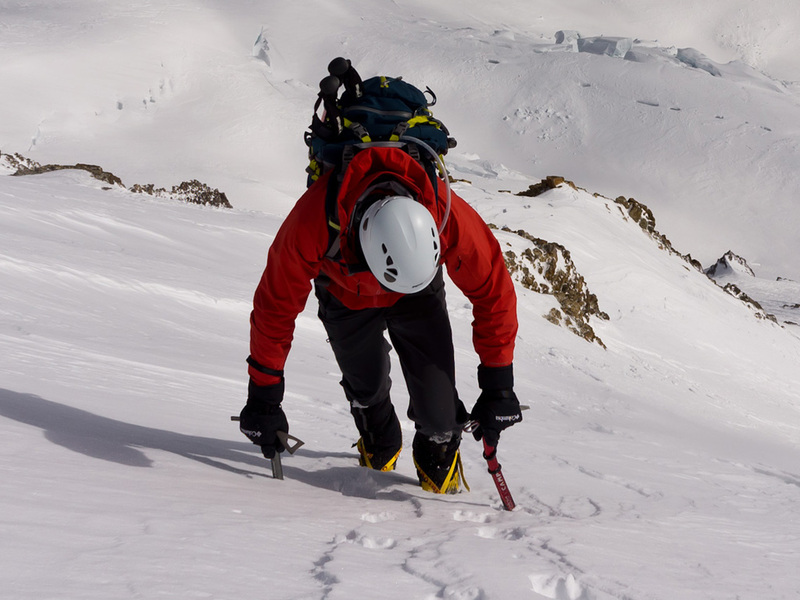 The CAMP Corsa Nanotech is the most advanced mountaineering ice axe on the market. 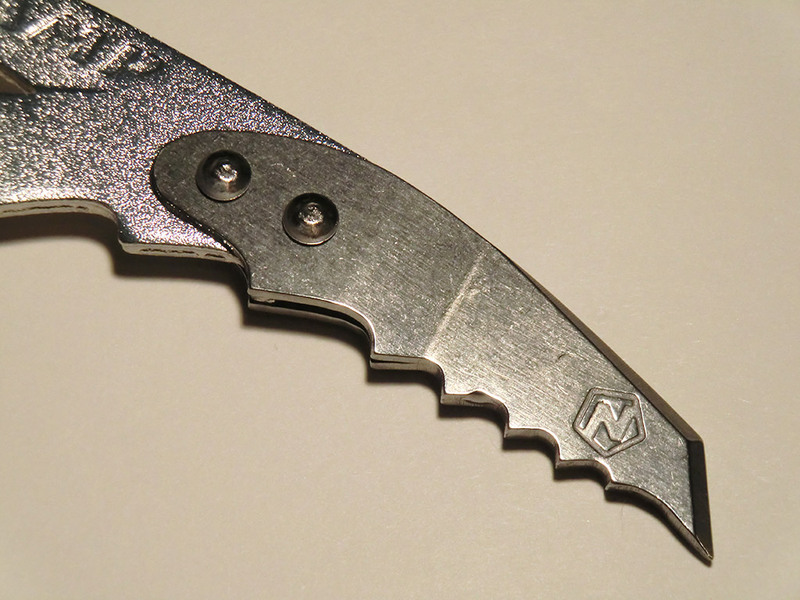 It's constructed of 7075-T6 aluminum alloy with Sandvik Nanoflex® steel reinforcements on the pick and spike. The steel components dramatically increase the durability and strength of these critical points without significantly increasing the weight of the axe. In addition, the Corsa Nanotech has an aggressive single-curve shaft that provides better clearance without interfering with walking or plunging performance. It's the second lightest axe in the world suited for high altitude climbing and ski mountaineering. Features nylon spike plug to keep shaft from filling will snow. Available in 50, 60, and 70 cm lengths. 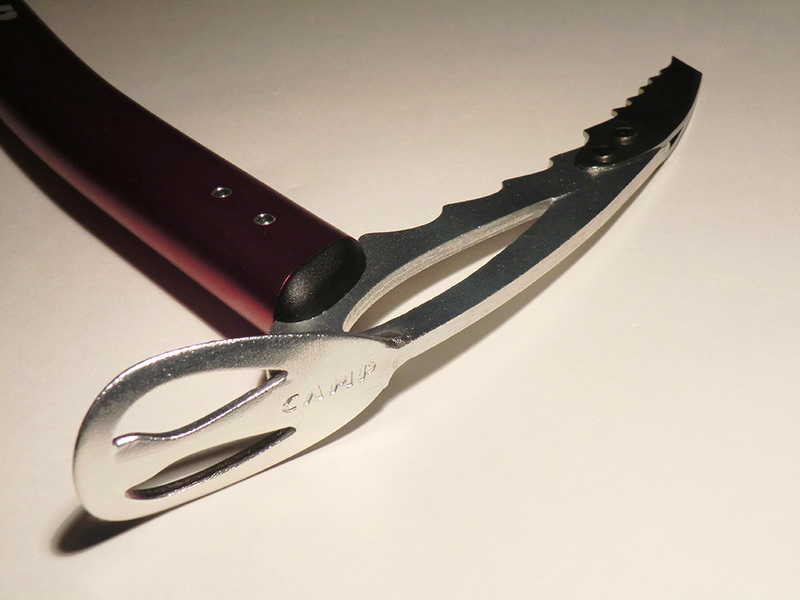 The CAMP Corsa Nanotech appears to be a solid, light-duty mountaineering ice axe. The "B" rated shaft is comfortable to grip and I really like its slight curve. 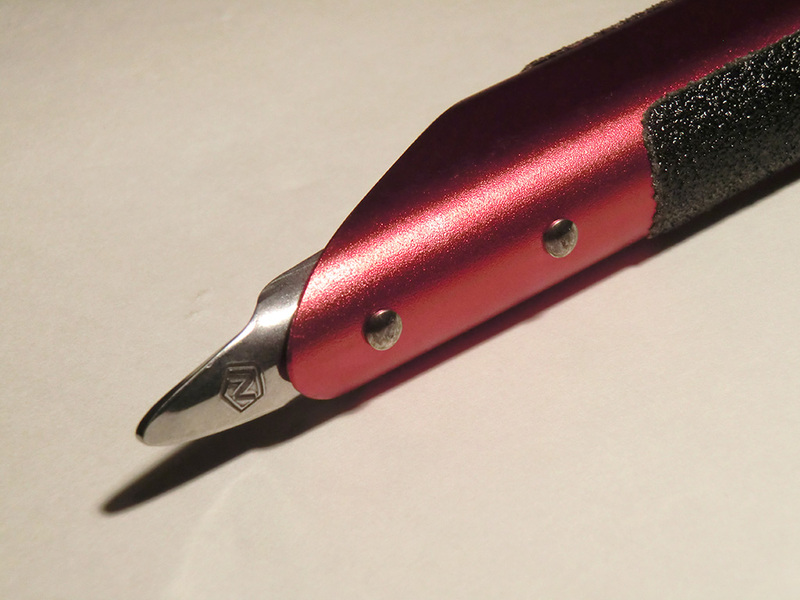 The head (riveted to shaft) is solid with the adze welded on and the Sandvik Nanoflex® steel pick riveted on. It is comfortable to grip in self-belay position. The spike is riveted to the end of the shaft, which is cut at an angle and plugged to keep snow out. There are two pieces of grip tape on the front and back of the lower portion of the shaft that I find to be a little too rough. 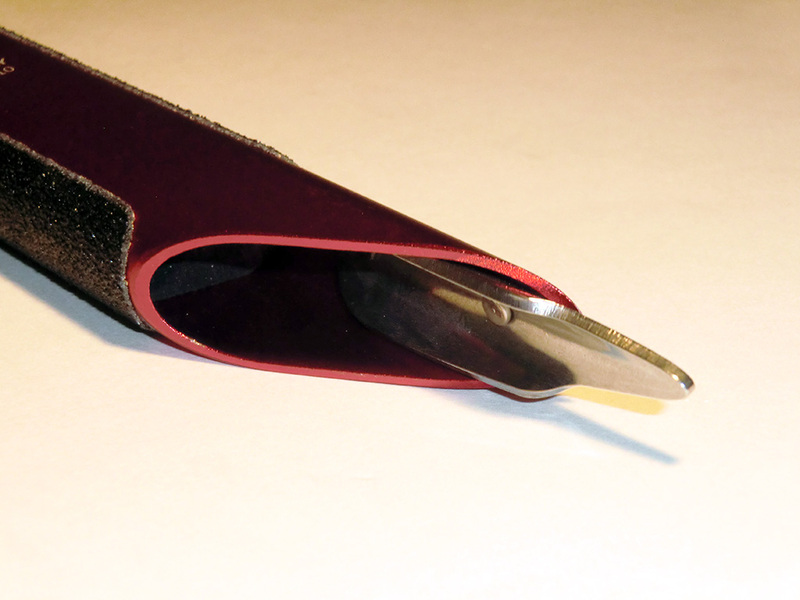 They definitely grip, but might also abrade the fabric on a backpack or gloves. We'll see what happens when I finally am able to test it a few times. The most notable aspect of the CAMP Corsa Nanotech is how light it is. It is nearly half the weight of my normal mountaineering ice axes and feels like I could easily swing or plunge it all day long. 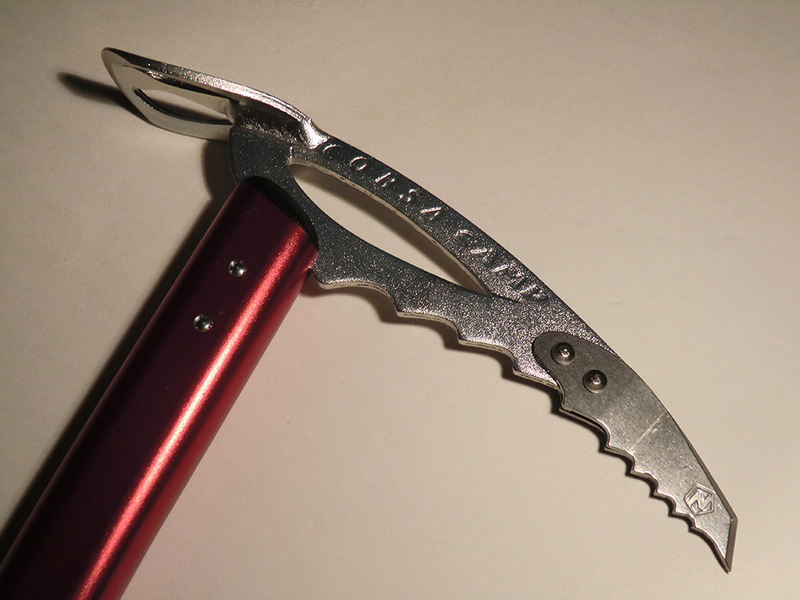 While I have packed my CAMP Corsa Nanotech ice axe on several climbing adventures, I haven't had a chance to use it until now. The first thing I want to mention is how light it is. I have packed it just in case on several trips, knowing the extra weight was minimal. I don't even notice it strapped to my pack, but it's nice knowing it is there just in case. On a Mt Hood climb (Cooper Spur route), I used the Corsa Nanotech in self-belay on the last couple thousand vertical feet in addition to my mountain axe. The slope was up to 50°, and didn't necessarily require a second axe, but I found using the Corsa Nanotech made me feel more secure. It's weight was noticeably lighter than my Black Diamond Raven and the shorter length meant I didn't have to lift it up as high for each plunge into the slope. I found the Corsa Nanotech did not plunge as deep as easily as the Raven, probably due to the grip tape and slightly curved shaft. In any case, it worked very well and and helped me climb more confidently. The snow conditions were too soft to really try low Dagger (piolet panne) technique, but while testing the Corsa Nanotech it felt very comfortable in this position. The lightweight construction did not seem to affect performance at all. I tried driving the pick into some thin ice and it broke right through instead of bouncing back as I thought it might. As a second axe or backup axe, I think the Corsa Nanotech is the perfect tool to carry. It is hardly noticeable when strapped to my pack or carried at my side on my pack's hipbelt. We'll see how it holds up in varied conditions over time, but for now I am quite happy with the performance. 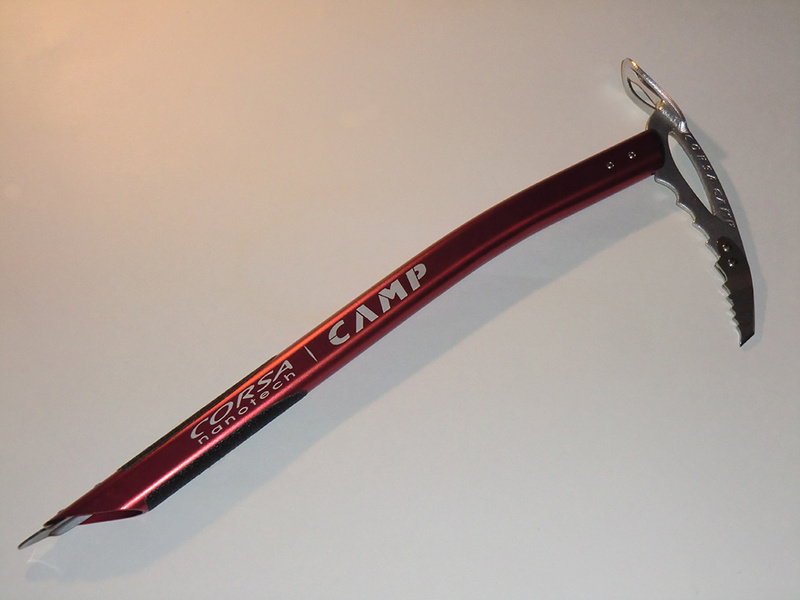 See Mt Hood adventure where the CAMP Corsa Nanotech Ice Axe was used.